It's Llama Llama's birthday in this 8x8 based on an episode of the animated Netflix series. Look out, world--Llama Llama is a TV star! The beloved character, made famous by Anna Dewdney's best-selling picture books, is the star of his own original series, now airing on Netflix. 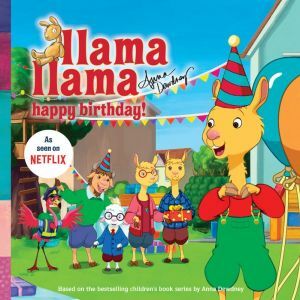 In this episode-based 8x8, Llama Llama is worried that his friends have forgotten about his birthday, but he's in for a big surprise when they throw him a party! Your little llamas will love relating to their favorite picture book character as he faces new and challenging situations.